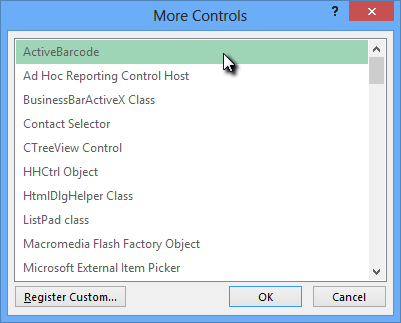 Starting with ActiveBarcode Version 6.60, an Add-In for Word 2010 or newer is available. This makes working with the barcode object in many application scenarios easier. 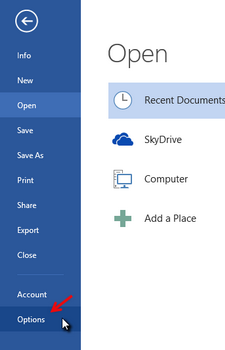 See this step-by-step tutorial for the Word add-in. A short description of how to add a barcode to a Word document: First launch Word and create a new document or open an already existing document. 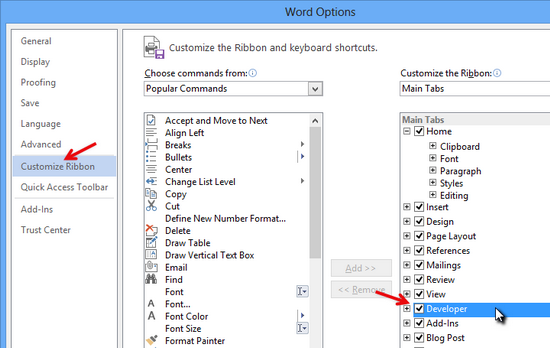 Activate "Customize Ribbon" and then activate the option "Developer" inside the main tabs and then close the option window. 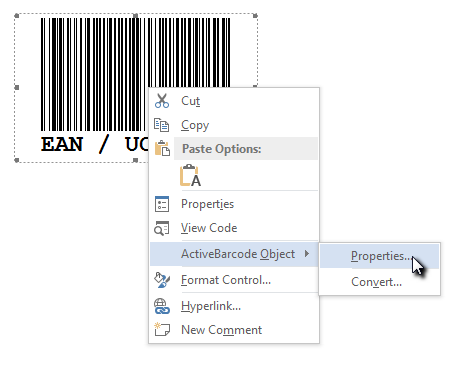 Now you can embed the ActiveBarcode control element into your Word Document. Select Developer tab. Click on the button "Legacy Tools" from the range of "Controls" and then select "More controls" there.